Dr Arjun Amar published his own thoughts on how we recover the English hen harrier population today. His views, published here on the British Ornithologists’ Union website, are significant for two reasons. Firstly, as a raptor research scientist, he has worked for both the GWCT and the RSPB so he is very familiar with the issues. Secondly, he is now a lecturer in South Africa (Percy FitzPatrick institute) so he could be seen, by all, as neutral. So there we have it. With the English hen harrier population requiring immediate action; it would appear to make sense to implement the only approach that is ready right now – brood management. 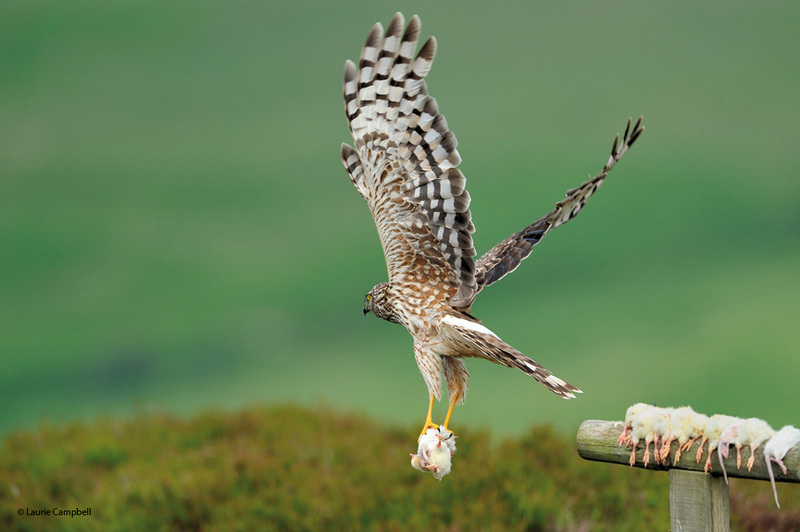 The draft Defra-led Joint Recovery Plan for hen harriers includes a trial brood management scheme. With your help that could be in place for the next breeding season. If you would like to read a copy of the Defra plan, including the brood management trial, sign this petition – it simply asks the hen harrier recovery plan to be published. Ah but Andrew we all really know that the DEFRA plan is not ready to be published because whilst it has been broadly been accepted by all in principle it is far from being finalised. It makes many of us on the conservation side very suspicious when all the shooting groups want the plan as it is published yet DEFRA and RSPB do not. Once it is finalised yes publish it asap but until then no. This currently seems to be an attempt to railroad the views of the shooting lobby only into the agreement, if you want us all on board you will wait until it is finalised. Thanks for your comment. We are continuing to work with the RSPB to find a solution. We want the draft plan published so it can be made public and debated. Published doesn't mean implemented, we're just trying to move things forward. Yes, let's put it in the public domain. Perhaps an FOI request to Defra to see the latest draft version of the plan is in order. Let's see the minutes of the meetings on the issue as well while we are about it - always good to know who is dragging their heels and why. Finally Anonymous, are you suggesting that 'shooting groups' are not on the side of conservation? The evidence would suggest otherwise - http://www.shootingfacts.co.uk/pdf/The-Value-of-Shooting-2014.pdf - see pages 11-17. Dr Amar's three options are not 'equal' and at the end of his essay he comments on that, but does not go into it. We need to understand how these three options will impact on businesses and peoples' livelihoods as well as how efficacious they will be at conserving both red grouse and hen harrier populations. Many folk are coming at this because they see it as a chance to 'have a go' at shooting sports, or because they perceive others doing so, but that's not what we are about here, as I see it. Getting Defra to publish what they have got should take the discussion forward as long as we all get around the issue of aligning grouse conservation with raptor conservation (Dr Amar also points out that the illegal killing is not limited to hen harriers). But can we all do that? Can we keep our eye on the prize? The only effective option is to tackle all three 'options', and quickly please. Idiot keepers have done for the Hen-Harriers; we may be able to save other captors from the same fate. Just stop faffing around with empty words, you all seem to be condoning illegal acts. Thank you for your comment. We certainly aren't condoning illegal acts. The Joint Recovery Plan addresses wildlife crime in 3 of its 6 points and we need to get it published so we can move on quickly - before it's too late.